Hanes crew neck T-shirt features all the same great features as their popular men�s shirt. It is constructed of soft, comfortable 100% cotton and is pre-shrunk for a better fit. 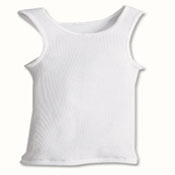 It is designed with a double ply neckband for added strength and roomy armholes. Boys also enjoy the generous length of the shirt, which helps it, stay smooth and tucked in. 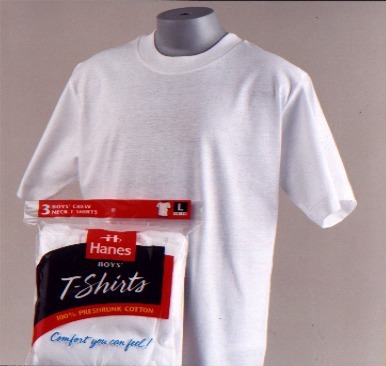 Hanes makes premier quality t-shirts for boys and men.